In 1963 Sadoun Reza Mahmoud was driven off his land in Chalistan village, which is 20km northwest of the oil-rich city of Kirkuk. Today he has no money to build a house and lives with his family in a tent. His father, his grandfather and their forebears before them had farmed in Chalistan but his family were suddenly forced out of their home by Arab fighters, some from neighbouring villages. This militia were members of Iraq’s National Guard, acting on orders from the Ba’ath party. The Ba’ath party had just come to power in an army coup. 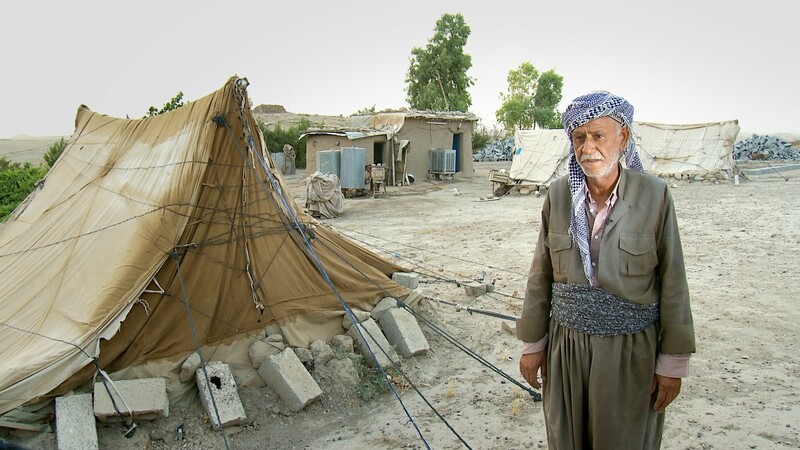 Their rule was brief but they managed to replace Kurdish villagers with Arab settlers in some areas near Kirkuk, which boasts some of the richest oil reserves in the world. The Kurds’ original black-coloured ownership documents were cancelled by the Ba’ath, and fresh title deeds were issued to newly arriving Arabs. Sadoun returned to Chalistan after Saddam’s defeat in the 2003 Iraq war and set about reclaiming his farm but his legal entitlement to it is still being challenged. SADOUN REZA MAHMOUD’s father, grandfather and ancestors had farmed in Chalistan in the Kirkuk region. However, in 1963 his family were driven from their lands by Arab fighters from the National Guard, who were acting on orders from the Ba’ath regime. 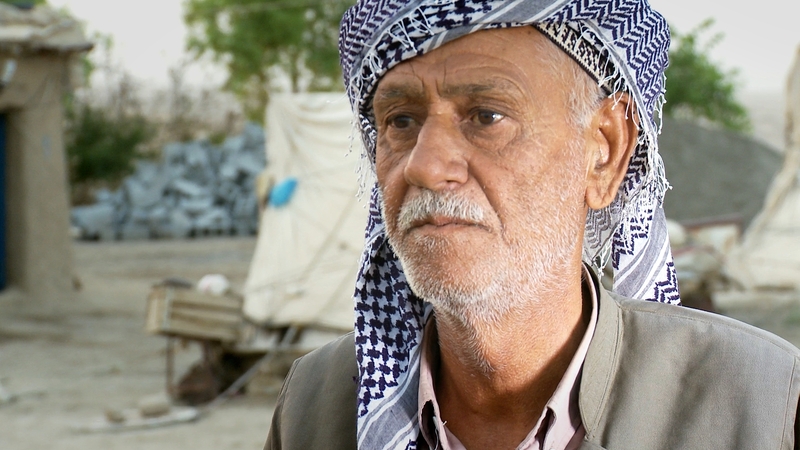 Sadoun returned in 2003, but without their inheritance his family are forced to live in tents and fear eviction. Chalistan is located in the disputed region of Dibs, near Kirkuk. The Iraqi government forcibly moved Kurdish communities from this region so that Arabs could take control of the oil-rich territory. Today Kurdish families are still trying to reclaim their land.